Today is a gold star day! It's the reveal of the Endless Sky Challenge. Before I share the lovely creations made for this challenge, I want to say THANK YOU to everyone who participated and purchased a kit. Even though these challenges are a lot of work for us, we continue to do them because people seem genuinely excited by them and we love to see what people make. It makes it all worth it! So, thank you for sharing your time, creative energies, and support! The color palette of this challenge started with a strand of aquamarine. I love the stone. It's got shimmering, cool tones of subtle blues. It made me think of the sky and from there, I wanted to capture a wide breadth of sky-inspired tones... from the dark blue of angry storm clouds to the airy frosts of misty clouds. Each of the kits also included a Mystery Component! It's a surprise piece made by me. I forgot to reveal it this past month, so here it is! 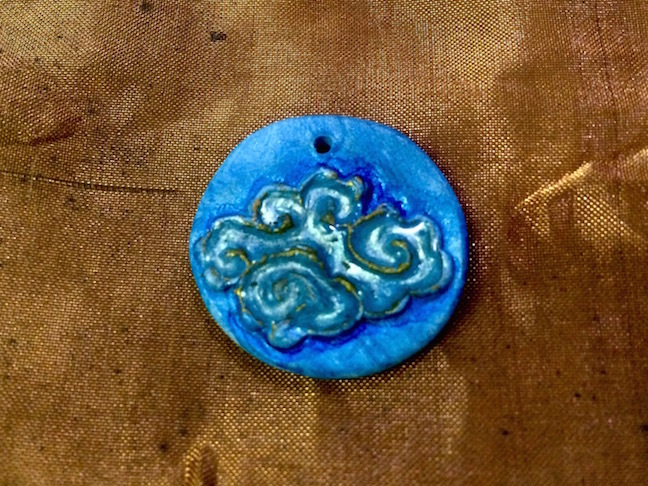 It's sort of a faux cloisonné and is made out of polymer clay with resin in the recessed areas. I touched it up with Glider's Paste and pigments to make it shimmer and stand out. It reminded me of that scene in Girl with a Pearl Earring, when Vermeer asks Griet what colors the clouds are. Sometimes the way the light shines through them, they seem to be gilt and outlined in gold. Melissa Wynne made all these pieces. Here's what she had to say about them: "Here are my submissions for the Endless Sky Challenge. I had such fun working with the package. 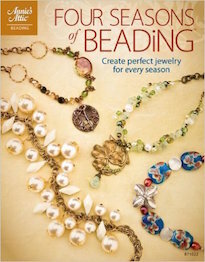 Thanks for reawakening my love of beading! 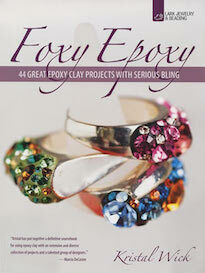 I especially liked the large clear quartz ovals. They screamed, "SIMPLE EARRINGS!" to me. So I made wire findings and that was that. On the choker, I sewed the ribbon into a narrow strand and then wrapped it around a piece from one of my late Mother's necklaces. I also made earrings to match. 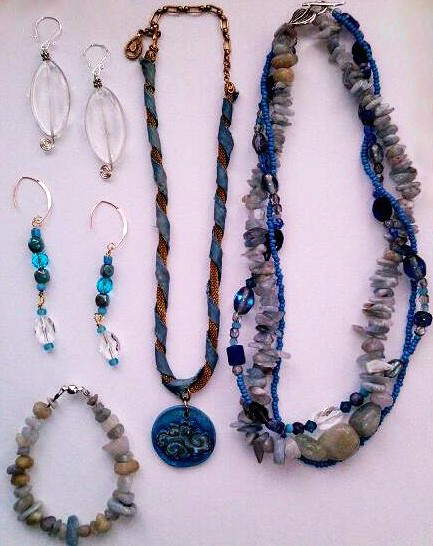 The colors of the rocks in the necklace and bracelet reminded me of a trip to the ocean. This challenge was so inspiring!" Laurel Ross made this necklace. Here's what she had to say about it: "This was a fun palette for me because I loved the color combo so much. 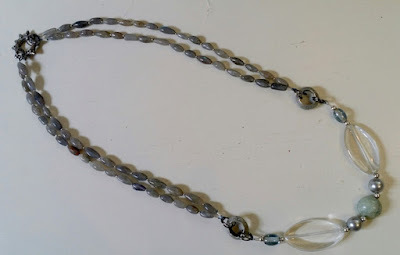 I had recently scored the labradorite, which make up the long double strands of the piece. It worked perfectly with the large quartz and glass components from the kit that I used to surround the focal. 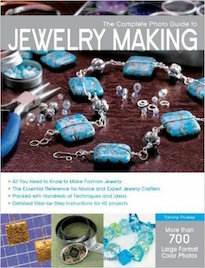 My favorite tidbits are the flat-backed round aquamarine stone which I made the centerpiece and the Green Girl Studios sun rock to tie it all together." Laurel Ross also sent a picture of this piece. "I admit it, none of the components are from the kit at all, but it fit so perfectly with this challenge that I couldn't pass up sharing it. I fell deeply in love with these faceted aquamarine rounds. So in keeping with the color scheme, I made this piece to go along with the other. Perfect pair with jeans or business suit!" This multi-strand bracelet was made by me. It's nice and chunky! I used lots of different shapes, cuts, and grades of aquamarine with little brass round spacers and gold Czech glass. I added pearls, to almost look like clouds and accentuate the sky them. I used white bronze cones from Saki Silver to disguise the strand ends and I used a bird toggle from my family at Green Girl Studios. But wait... that's not all! 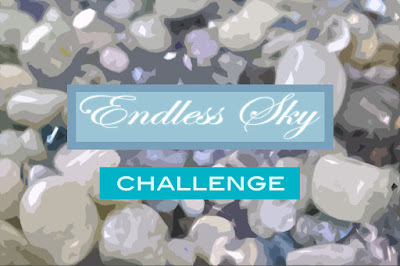 Check out what these participants made for the Endless Sky Challenge! Make sure to hop around and comment with wild abandon! They did such a great job! 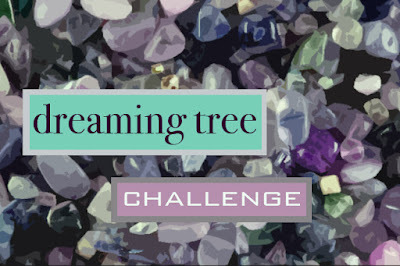 Up next is the Dreaming Tree Challenge! I hope you'll swing by and see what everyone made for it! The reveal date is scheduled for Thursday, August 13th. The next kit goes on SALE TOMORROW! The new kit is called, Warrior Stone. I'm smitten with it! What incredible designs! If I was to go into a boutique and asked to pick just one, I don't think I could. They all celebrate the beauty of the aquamarine in such exquisite ways. I love the kits but I have to say my favorite part is "visiting" with everyone after the reveal. So many talented people and wonderful, creative pieces. It's been so fun to see how Melissa and Larel used the big clear beads, I was kind of stumped as to how to use them but you both used them to perfection. Thanks to Andrew for another great challenge. It's always so much fun how everyone uses the same kit in so many different ways. 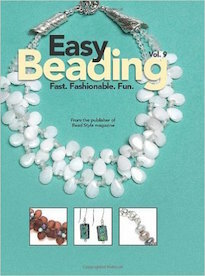 I agree with Dolores that it is fun to see how people used the large quartz beads. Love Melissa's earrings that really let them take center stage! I also love that she incorporated a necklace of her mother's in one piece. I like it when pieces are infused with meaning. The chip bracelet and necklace set are lovely. Laurel's necklace is a beauty. 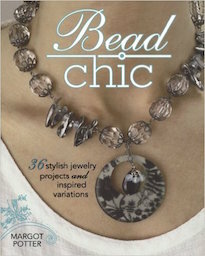 Again - great use of the quartz to highlight the focal bead, and I love the look of the labradorite. The second non-kit but related piece does a great job of highlighting the variety of colors in aquamarine. Andre's bracelet is gorgeous. I love the chunkiness, and the pearls are wonderful with the aquamarine. Those cones are beautiful. Thank you for another wonderful challenge. 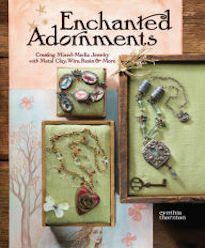 I do look forward to them and really have a good time both creating my pieces and seeing what others create! Melissa, I love your use of a heritage necklace. The result is lovely and now you can wear you mother's jewelery again! Andrew the white bronze cones from Saki Silver are awesome. I also love the bird toggle and what you did with these unique findings. These are all great pieces. I love the meaning put into them and the variety of styles. Thanks for giving us such a great kit to work with Andrew! I am hopping late as I was on vacation in beautiful Seattle. Great to be back and see what everyone has done with the kit contents. Melissa: I love that you were able to use your mother's necklace and turn it into a lovely keepsake. You made some beautiful accessories with the blues from the kit and they all work together to coordinate with each other. 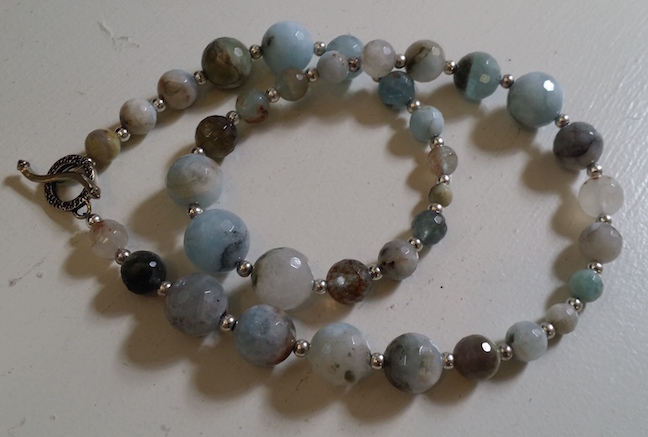 Laurel: I love how the double labradorite strand accentuates the blues from the focal beads and the oval shape coordinates with the clear crystal beads. 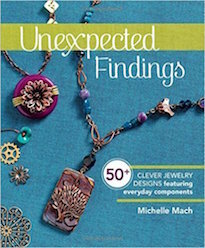 You pulled together a beautiful theme and the clasp is awesome! 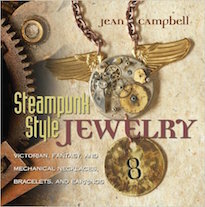 And you are right, the bracelet and necklace can be dressy or casual. Andrew: Your bracelet is gorgeous! I love the puffy pearls. They really do give the design a lighter-than-air look. 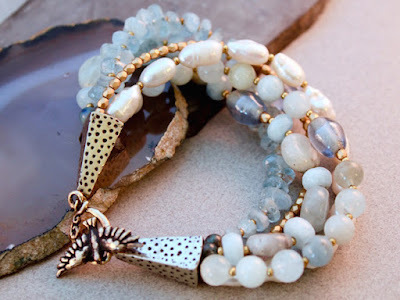 The blues are so soothing and the hints of golden light and inner glow of some of the beads make the bracelet look sunlight filtering through clouds and blue sky. Perfect!